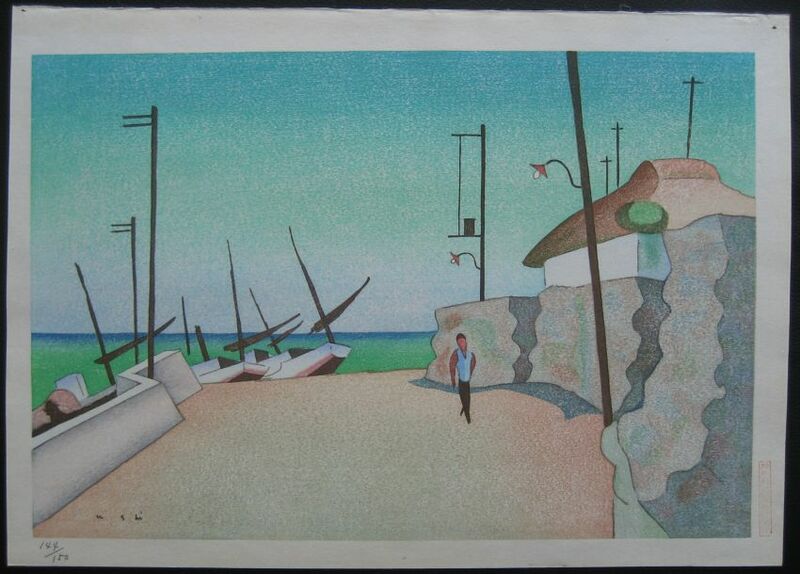 Noriyuki USHIJIMA (1900-1997) was a renowned Japanese landscape painter. 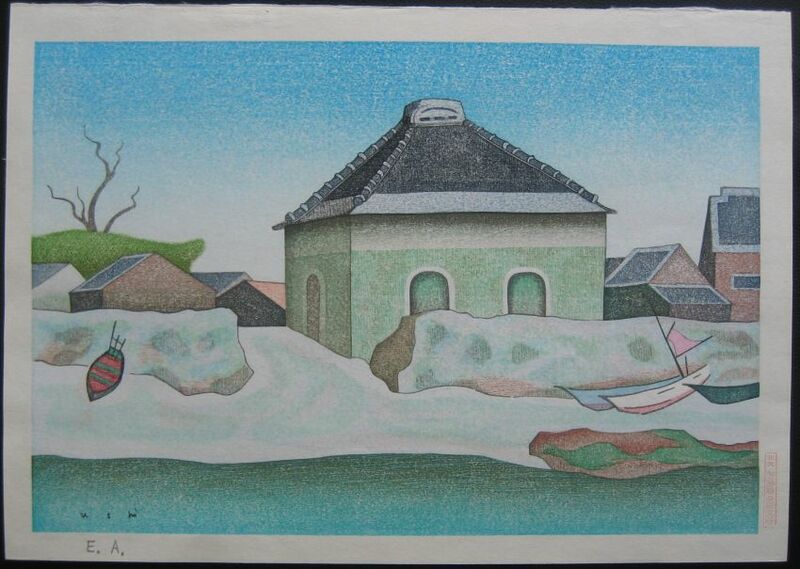 Born and raised in Hihongi in Kumamoto City his schooling was often neglected in favour of painting and as a result was not the most successful of students. 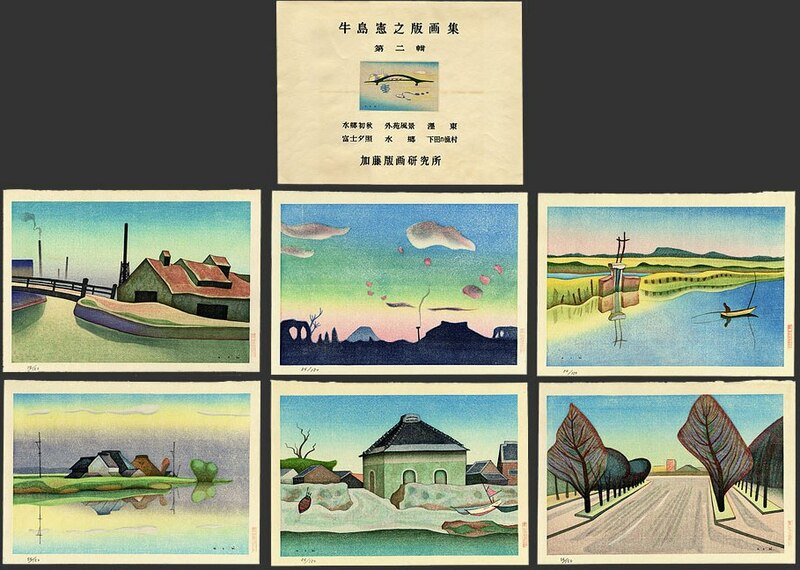 Much of his work is from the local area and his many landscapes often feature water scenes of the Tsuboi River and Lake Ezu in Kumamoto. 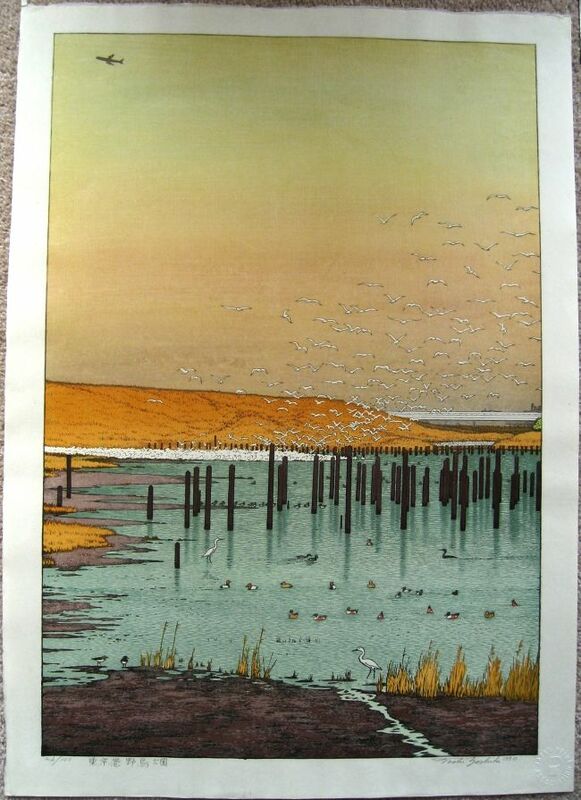 The water landscapes show clam flat water and he is quoted as saying he doesn’t like scenes with high waves or rough water so doesn’t paint them. 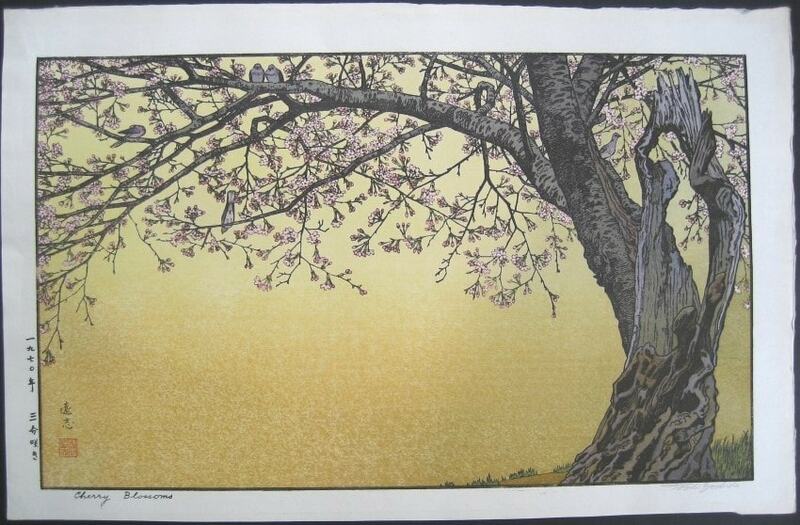 Whilst USHIJIMA is known as a painter (oils and watercolour) there are also woodblock prints that bear his name. 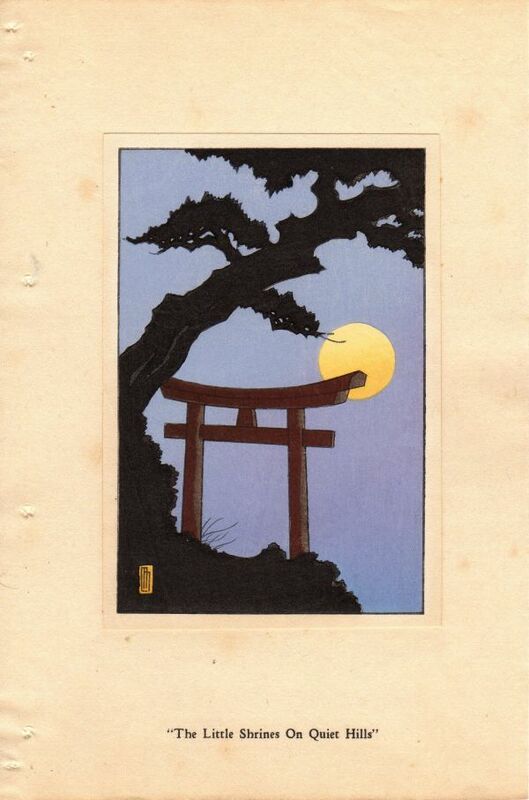 I’ve uploaded the two that I possess to the woodblock print gallery. 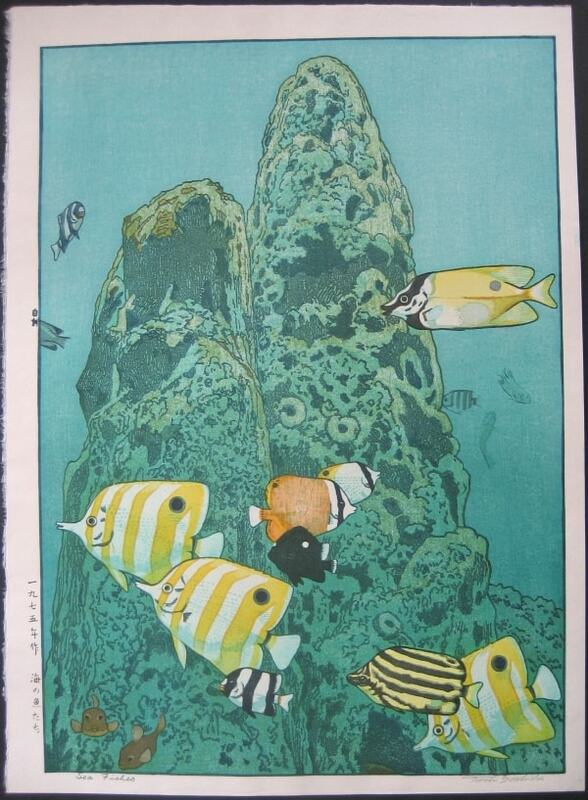 There seems to be very little detail about the woodblock prints generally available (in english at least). 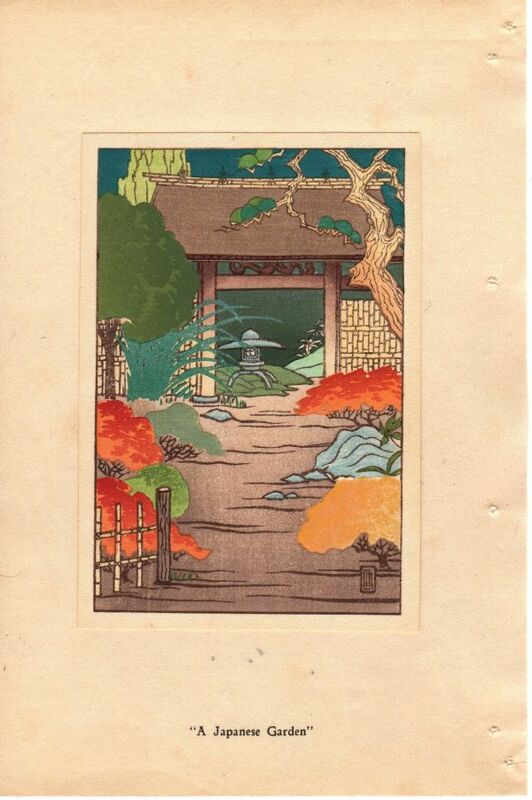 In total I’ve only seen around 12-14 woodblock prints in books and catalogues with every print being from an edition of 150. 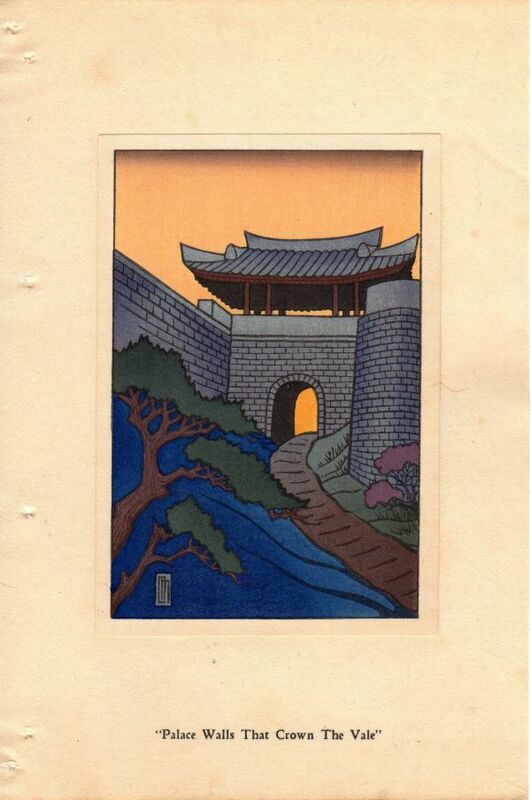 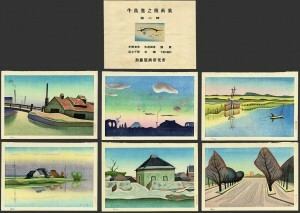 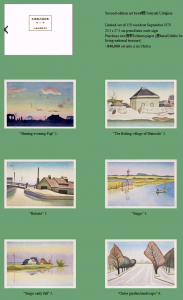 A number of his woodblock prints are ‘copies’ of his paintings. 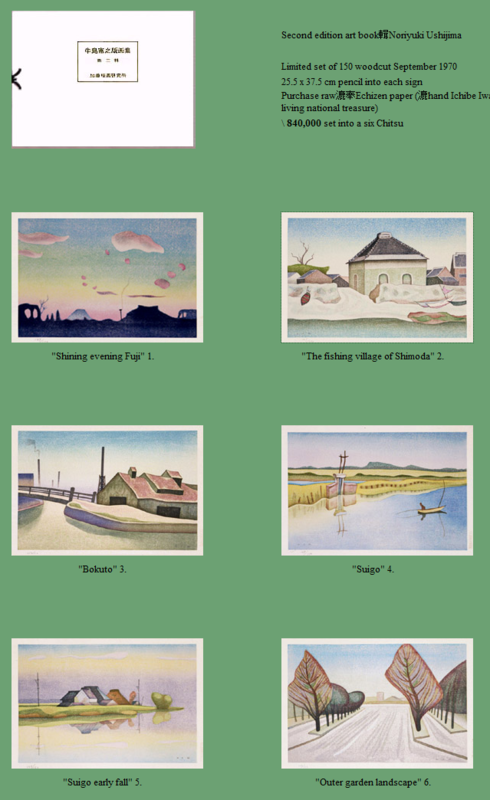 It appears that two collections of his woodlbocks were produced with each containing six prints which are shown in the images below.